Have Yourself a Merry Little Christmas (Vocal Feature - Key of G). 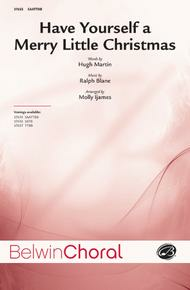 Composed by Hugh Martin and Ralph Blane. Arranged by Dave Wolpe. Jazz Ensemble. Jazz Ensemble. Jazz Vocal Series. Christmas; Jazz; Winter. Grade 3. Conductor Score & Parts. 88 pages. Published by Belwin Music (AP.SS8709).Feature your vocalist in this lovely Christmas selection. Set in a slow ballad style, the beautiful chord progressions and full accompaniment support the vocal soloist throughout. Usable year after year. Key of G.
Have Yourself A Merry Little Christmas by Frank Sinatra. For easy piano. Christmas; Film/TV; Pop; Standards. Easy Piano. 3 pages. 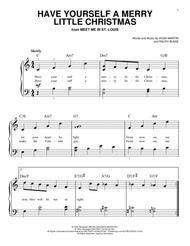 Published by Hal Leonard - Digital Sheet Music (HX.93957).About Digital Print Sheet MusicDigital Print is printable sheet music available anytime, anywhere. Just purchase, print and play! View your online sheet music at home, school, work or anywhere you have a computer connected to the Internet. Use our iPad app to view your digital sheet music on the go. With Digital Print, you can print your digital sheet music immediately after purchase, or wait until its convenient. And our software installation is easy - we'll guide you through the simple steps to make sure you have Adobe Flash Player, Adobe AIR and the Sheet Music Plus AIR application. 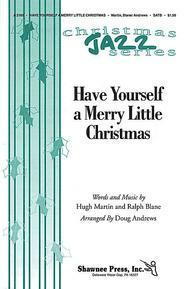 Have Yourself a Merry Little Christmas composed by Hugh Martin and Ralph Blane. Arranged by Doug Andrews. For Choral (SATB). Shawnee Press. Choral. 8 pages. Shawnee Press #A2165. 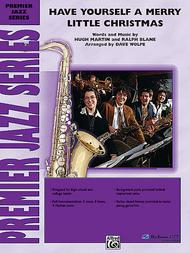 Published by Shawnee Press (HL.35008967).Tight jazz harmonies give new dimension to this traditional holiday favorite. This a cappella gem is a great way for high school, college, or community choirs; vocal jazz groups; or concert choirs to end their Christmas concerts. Have Yourself a Merry Little Christmas composed by Hugh Martin, music by Ralph Blane. Arranged by Molly Ijames. Choir Sacred; Choir Secular. SATB choir. Choral (Sacred); Choral Octavo; Worship Resources. Belwin Choral Series. Christmas; Sacred; Secular; Winter. 12 pages. Published by Belwin Music (AP.37655).Molly Ijames is becoming a familiar name in the church world. Here is her special take on this favorite the Christmas standard. Suitable for both church and community choir use. 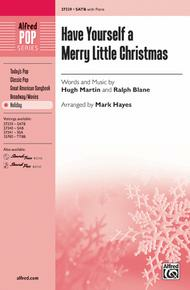 Have Yourself a Merry Little Christmas composed by Hugh Martin and Ralph Blane. Arranged by Mark Hayes. Choir Secular. SATB choir. Choral Octavo. Pop Choral Series. Christmas; Holiday Pops; Jazz Choir; Secular; Winter. Choral Octavo. 12 pages. Published by Alfred Music (AP.27339).One of the best and most popular Christmas songs has been expertly arranged by Mark Hayes. The choral voicing is beautiful, and is designed to showcase your singers. The piano accompaniment is flowing and supportive, and the Trax/Pax are stunning. Also available for SAB (00-27340), SSA (00-27341), and TTBB (00-35780).Inst. Parts Available (choral); Recorded Acc. Available.